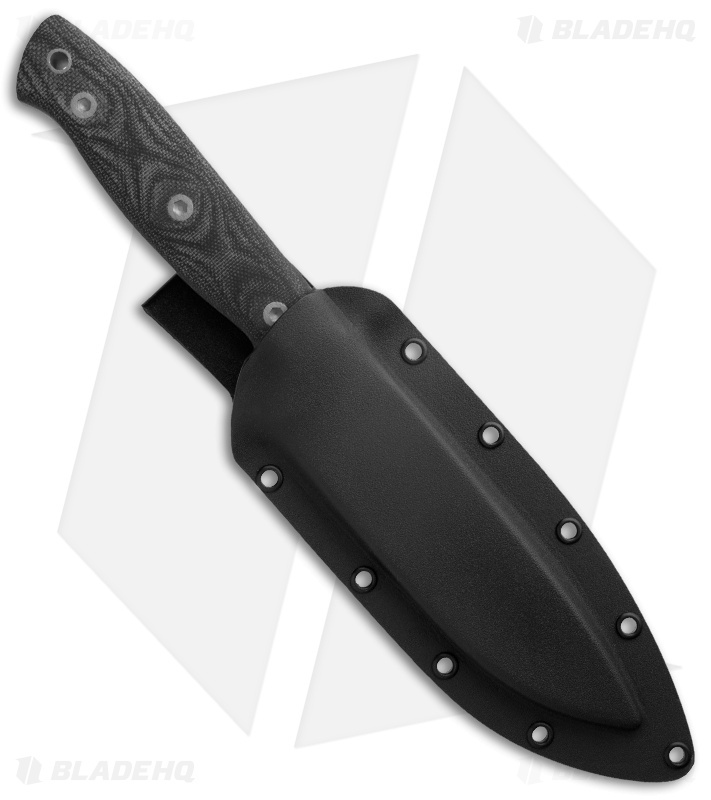 The EnTrek USA 11 Bravo Knife is a design made specifically to fill the needs of some of our guys in Iraq. It is basically an extra heavy duty version of the EnTrek Companion. The Bravo features a 4.75" blade with a full .25" thickness. The blade is made of 440C Stainless Steel, with a plain bead blast finish. The blades are heat treated, sub-zero stabilized and double drawn to 57-58 RC. This gives a combination of toughness, edge holding and corrosion resistance that is hard to match even with much more expensive steels. Jimping on the blade allows for extra grip. 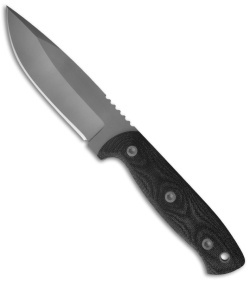 Overall length is 9.375"
The handle uses black canvas micarta. Black Canvas micarta not only looks good but it also provides a very good gripping surface as well as being impervious to heat, cold, oil, water and other things that would destroy most handle materials. The sheath is made from black Kydex and features a belt clip, and black eyelets so you can lash the sheath to your gear if that is your desire.